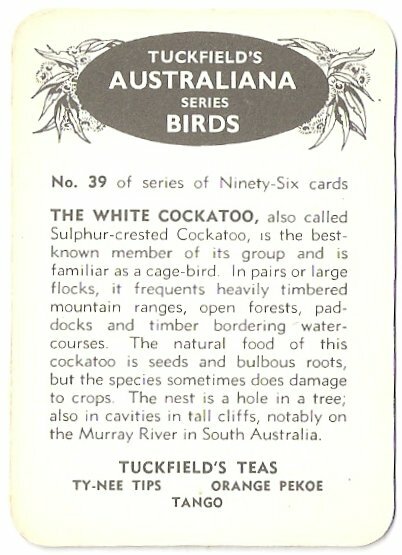 This is the Tuckfield's type "C" card that is from a set of 64 (I know, it says 96 but only 33 to 96 were produced and that's 64 cards on my calculator) and mentions Ty-nee Tips, Orange Pekoe and Tango. This card is meant to compliment the type "B" card. One to thirty-two with "B" and thirty-three to ninety-six with "C".